Perrysburg Auto Mall’s team of highly qualified service and repair technicians is focused on providing exceptional service for your vehicle in a timely manner. No matter what the problem is with your Dodge vehicle, our ASA certified service professionals could fix it for you. We know that drivers from all over the Toledo area know a good vehicle when they see one and, after perusing everything that we have to offer at Perrysburg Auto Mall, we have no doubt that you’ll feel like a kid in a candy store among our selection. 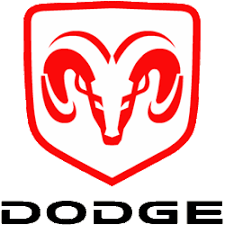 With a plethora of new Dodge cars, trucks, and SUVs, a variety of used vehicles, and many commercial vehicles for your business needs, you will discover driving bliss no matter your on-road requirements. Finding the right vehicle for you is easy when you come out to our dealership; with so many new Dodge vehicles to explore, there is practically no end to the possibilities. More than just new vehicles, our selection of used vehicles is sure to appeal to those of you in need of a high quality and reliable vehicle at an even more affordable price.